I'm not sure where I got this recipe -- probably from my grandma when she first gifted me with a bread machine many moons ago. But it's a keeper. 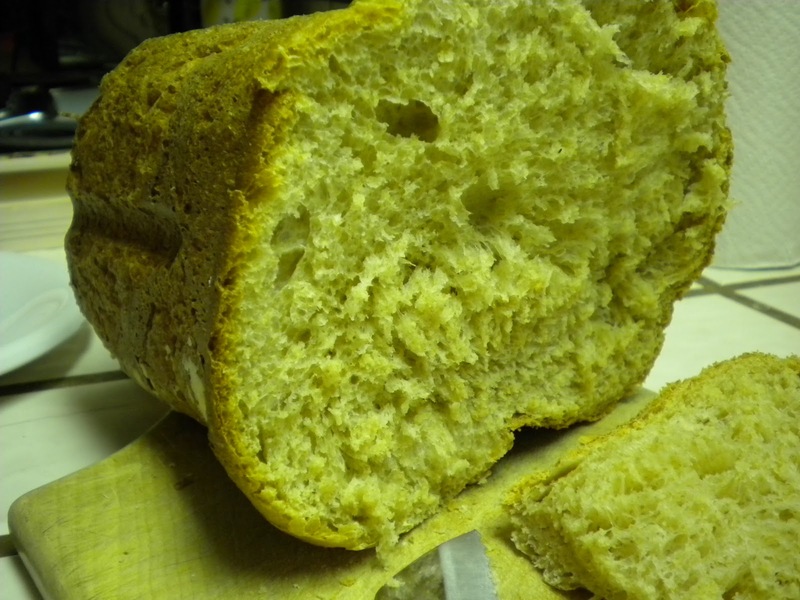 A great everyday loaf to eat with dinner or make into sandwiches. And warm, with butter oozing into every little crevice? Mmmmm. I'm sure I will return to cooking something other than breads and cookies eventually. What is it about the dark, sometimes dreary winter months that make baking sound like the perfect leisure-time activity? Dump everything into your handy-dandy bread machine in order listed. Push the magic button and voila. Four hours later you will be inhaling the delicious aroma of homemade bread and slathering on the butter and thinking you really should cook some carrots pretty soon. ..."with butter oozing into every little crevice?" Oooh you just made my mouth water. This bread is full of such good ingredients and flavors! What a beautiful bread...and oh my, with butter...amazing!! honey is so good in bread, this looks amazing! Oh M. Kate, I am sorry you haven't had any luck with baking bread. I never made it regularly until I got a bread machine. It is such a worthwhile purchase, as long as you're not on a low-carb diet :) Because that bread sure does make the whole house smell terrific. Which, of course, makes you want to eat it. Mmmm Lynn this looks delicious! Thankyou for your kind comments on my blog.